On 2 March 1992 the General Assembly of the United Nations in New York voted unanimously to admit a new member state- the most serene Republic of San Marino. A member of the Council of Europe since 1988, San Marino had become “a state among states” on equal footing with the world’s major powers. 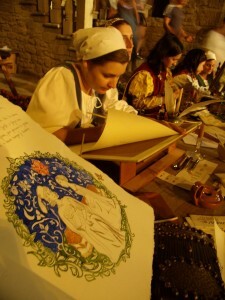 With a surface area of no more than 61 square kilometres and a current population of little more than 30,000 inhabitants, this tiny state, perched on the clay slopes of Mount Titano, on the borders between the Italian regions of Emilia-Romagna and the Marches,represents priceless historical testimony and a lesson in democracy and freedom for the whole world. Legend has it that the city was founded in the fourth century by Marino, a stonemason from Dalmatia. One version of the legend claims he was fleeing anti-Christian persecution by the Roman Emperor Diocletian, while another states that he had come to Rimini together with other stonemasons and carvers in order to work on rebuilding the city’s walls. Whatever the truth, after 12 years spent in Rimini, Marino withdrew to Mount Titano where he founded a small Christian community. His fame spread as he became associated with a number miracles, but the key moment came when the Saint crossed paths with Verissimo, the son of a widowed noble woman called Felicissima who was the owner of the land where Mount Titone rose up. Verissimo objected to the presence of Marino and tried to drive him away but he suddenly fell to the ground totally paralysed. His desperate mother threw herself to the ground at the Saint’s feet begging his pardon and offering him any gift he desired. The Saint merely asked them to convert and to offer him some land where he could rest. So this was how Mount Titano passed to Marino and his descendants. 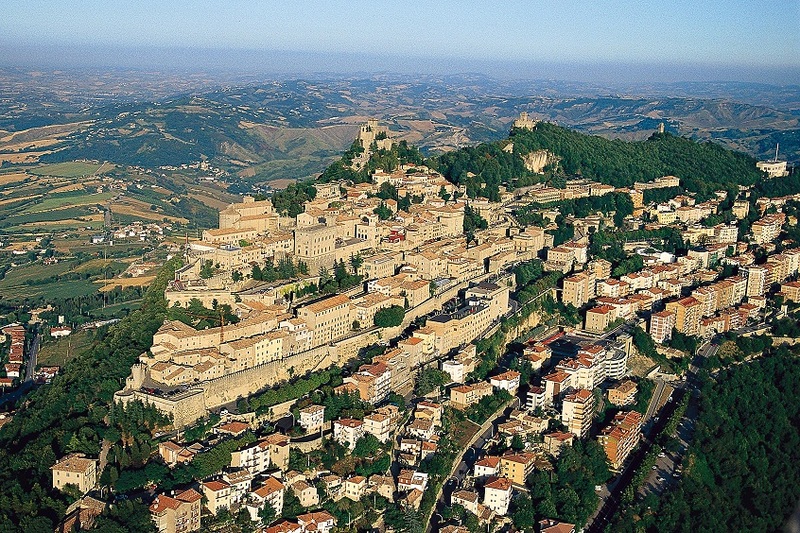 Until the 1300s San Marino was the property of the Bishop of Montefeltro however in this period there was a general struggle against the temporal power of the Church. 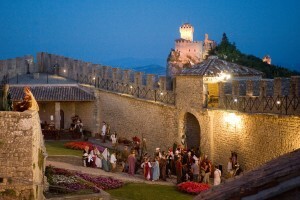 There was however one important difference between San Marino and other towns, whereas the others were led by of a ruling Lord who was fighting mainly for self interst, in San Marino the whole community fighting together for the abolition of the tithes, united by the fervour and willpower of those fighting a just cause. The population believed it was their saint who had conceded these rights for San Marino as was claimed in a trial in 1296 in Valle Sant’Anastasio. “Nemini teneri”- “ Depend on no one”- autonomy and freedom. 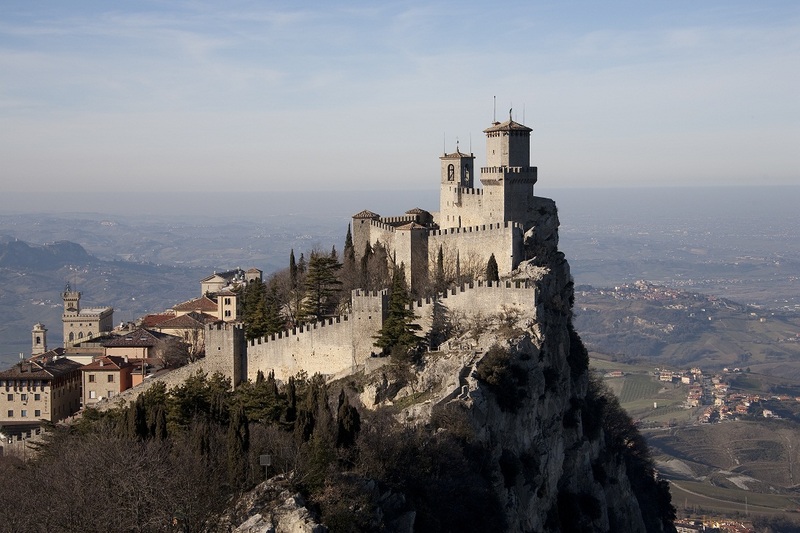 After the fall of the Bishop in 1351 San Marino remained an independent island for the whole mediaeval period detached from the local conflicts between warring lords. The area was a battleground between two rival families: the Malatesta from Rimini and the Montefeltro of Urbino. 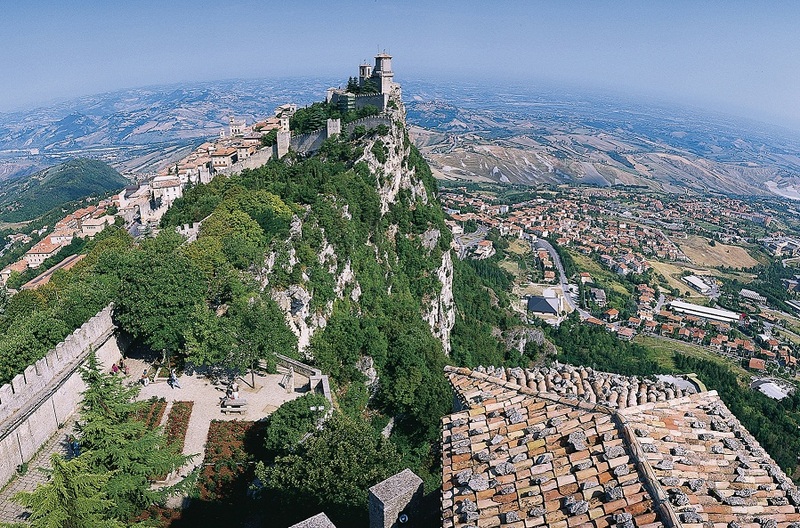 While San Leo, Maiolo, Verucchio and other nearby cities frequently changed hands San Marino maintained its independence as a free town, faithful to the commandments of its saint. 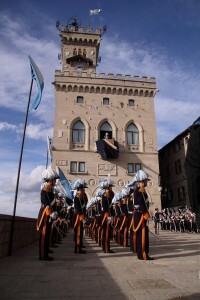 Between 1500 and 1600 another important event took place since San Marino became recognised as a republic. The title begins to be seen on documents from the Papal States from the beginning of the 1600s and was used instead of the more usual territorial titles such as dukedom, county, or marquisate. It should be pointed out that the town on Mount Titano was not governed by a ruling family but by magistrates nominated by the community. It therefore came as no surprise that in the years following the French Revolution, or more precisely in 1797, when the young Napoleon Bonaparte invaded Italy, he stopped at San Marino and recognized it as model of democracy and freedom offering the city territorial enlargement (an offer the population wisely declined). 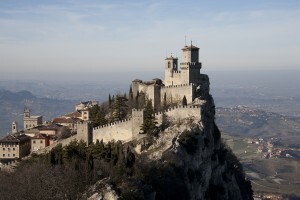 Today the history of San Marino is still clearly evident. You only have to walk along the city walls that link San Marino with three fortifications at the mountain summit: the Rocca or Guaita, the Cesta and the Montale. The Rocca dates to the ninth century while the Cesta tower, which is situated at the highest point, dates to the 1200s and houses the Museum of Ancient Weapons. It is not possible to visit the interior of the Montale but it is well worth going up to the tower to admire the incredible panorama. From this point you can see the distant Alps, the summit of Mount Sibilini and the whole Riviera and the plain of Romagna. Inside the city walls you can admire Piazza della Libertà, the heart of city life. In front of the Governor’s Palace at half past every hour you can see the traditional changing of the guard. The governor’s palace dates to 1894 and is characterised by its structure, its battlements and clock. 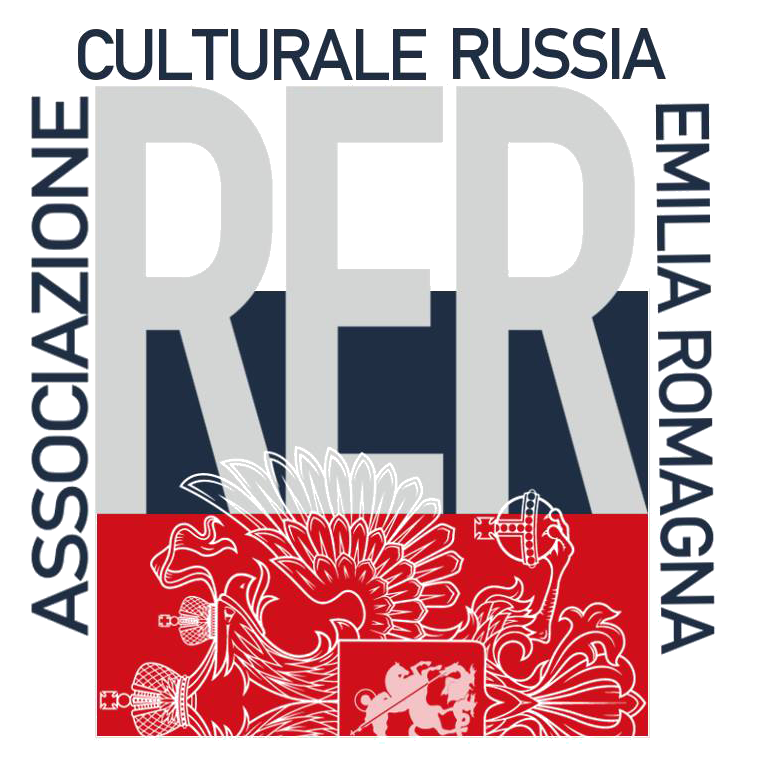 It is the seat of the main institutions of the Republic including the Captains Regent, the two heads of state who are elected by the grand Council of San Marino every six months. Share the post "San Marino: The oldest democracy in the world"